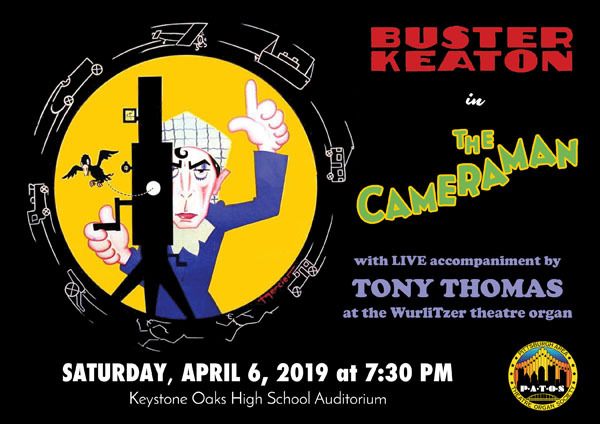 Get your groove on with a special tribute to 1960s television when theatre organist Pierre Fracalanza returns to Pittsburgh. This lively program will sometimes be groovy, sometimes be campy, and always stir up memories of your favorite 1960s TV stars and entertainers. The program features Fracalanza’s multi-media approach to theatre organ using unique projected videos to create a concert experience not only for the ears, but also for the eyes. “I have a brand new program ready for Pittsburgh,” says Pierre. “We’re going to channel Ed Sullivan, plus many of the memorable television theme songs from the sixties. I also want to salute many of the great singers that appeared often on variety shows in the 1960s, people like Dionne Warwick, Petula Clark and even Dusty Springfield!” Also included in the proceedings will be a quiz on sixties television themes in which the audience can participate. 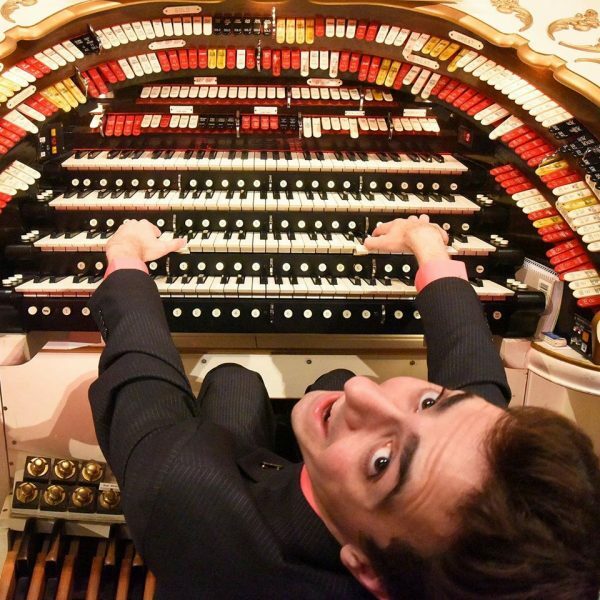 The son of a concert organist, Pierre Fracalanza attended the Eastman School of Music in Rochester, NY. 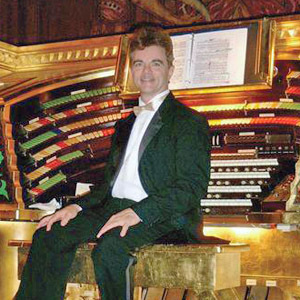 In 2014, Pierre was a featured artist at the American Theatre Organ Society’s annual convention in Chicago. As usual, tickets are $20 at the door or $15 in advance. Students are admitted free with ID. Use the following link to buy your ticket online today! 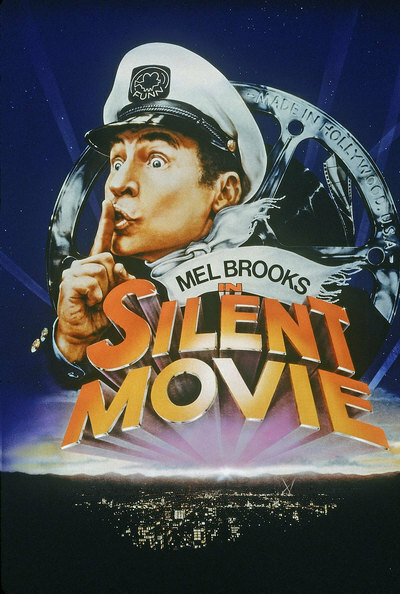 Mel Brooks’ hilarious 1976 tribute to Hollywood’s silent era contains only one word of dialogue (and the movie is in color)! 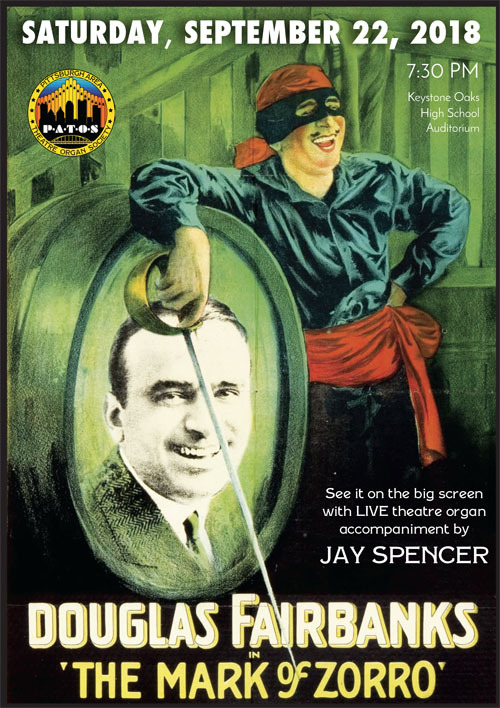 Starring Mel, Marty Feldman, and Dom DeLuise, plus cameos by other famous celebrities, Silent Movie is a classic spoof of silent filmmaking. 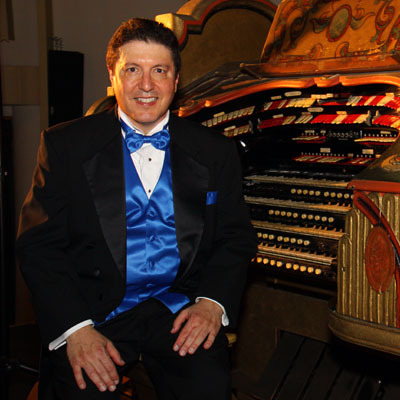 Live theatre organ accompaniment will be provided by David Peckham, the 2016 American Theatre Organist of the Year and house organist at the Clemens Center in Elmira, NY. Educated at the Eastman School of Music, David’s lively score on the PATOS 3 manual Wurlitzer Theatre Pipe Organ will give patrons the authentic silent movie experience. Brooks and Peckham: silent cinema at its best! Don’t miss it. As usual, tickets are $20 at the door or $15 in advance. Use the following link to buy your ticket online today! 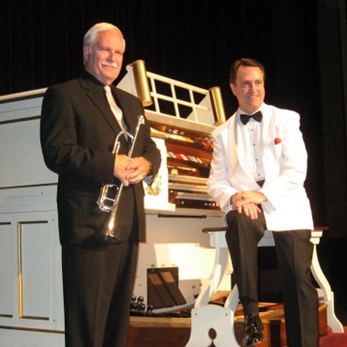 Gifted theatre organist and entertainer Ken Double will return to the PATOS Wurlitzer at Keystone Oaks Auditorium on Saturday, March 3, 2018 at 7:30PM, this time with former Harry James trumpeter Skip Stine. This brand-new “Double Play” program will salute the great Harry James Orchestra, with which Mr. Stine performed and recorded in the 1960s and 1970s. Ken and Skip have performed together dozens of times since 2007, reviving the sweet trumpet solos on Harry James hits such as “You Made Me Love You” and “I Had the Craziest Dream”. The duo also has two CD recordings to their credit, both of which feature Ken’s theatre organ and Skip’s trumpet. Ken Double is a former sports broadcaster and arena organist who retired from announcing in 2008, now devotes himself full-time to his theatre organ career. Ken also was executive director of the American Theatre Organ Society for ten years until 2016. Skip Stine is a graduate of the United States Navy School of Music. He played for numerous big name orchestras and singers in the 1960s, including Buddy Morrow, Frank Sinatra and Tony Bennett. His career culminated with a long association with Harry James, appearing not only with the band on the Las Vegas strip, but also in numerous studio recordings and concerts across the US and Europe. Skip currently teaches music at the Milton Hershey School in Hershey, PA.